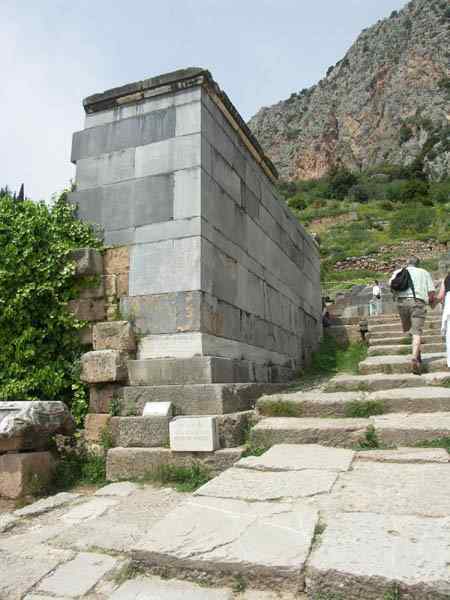 Opposite from the base of the Plataeans tripod we see the big Chians altar (8,60 x 5 and height of 4m.) of the temple where sacrifices were made during the celebrations. As we informed from the inscription the altar was built at 5th cent B.C with the money of Chians who got in return the right to be allowed to ask first for the oracle without waiting in line.